TheDailyClassifieds.com . The Daily Classifieds was launched in 2001 with upgrades throughout the years. While many free classifieds websites have come and gone The Daily Classifieds still maintains it’s integrity buy supplying the shoppers and the advertisers a full service Classifieds Platform. The success have been built on charging a fair price and delivering eager shoppers. The Daily Classifieds system is very simple. Each ad is $5.00 and stays active for 4 weeks unless the advertiser deletes the ad. The $5.00 eliminates most scams and allows the company to expand and add new features. A. Create your account by Registering – There is a $5.00 fee associated with each listing. Six10 Merritt is a 26 home condominium project coming to Wedgewood Houston – Nashville’s hottest up and coming market. 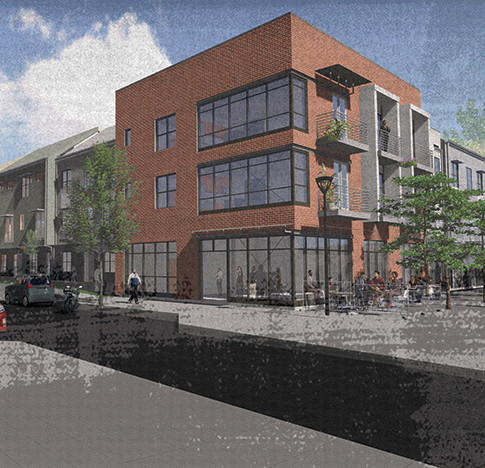 It will be anchored by two commercial/retail spots and located on the corner of Merritt & Martin. There will be two types of homes: flats & townhomes. Six10 Merritt is the first mixed-use building in a large master planned development called The Finery, all by Core Development. The flats will be walk-up condos above the commercial/retail space on the 2nd & 3rd floors of the building. There will be 12 of these. Ten studio, one-bedroom, and two two-bedroom flats, ranging in size from 524 to 980 square feet. There will be one assigned parking space per flat in an open lot. The studios are $149,900, one-bedrooms $184,900-199,900 and two bedrooms $249,900. The townhomes are three levels, two bedroom, two bath, plus a flex live/work space on the bottom level, with an ADA bathroom and a few options to finish out part of the space. They have rooftop decks and attached two-car garages. These units can be used to live in and run a small storefront out of on the bottom level. These will start at $409,900. The homes have been sytled to embrace the creative/marker/artistic character of the neighborhood, with streamlined and somewhat industrial style finishes. Flooring is clear-coated concrete throughout, quartz countertops in a light or dark color choice, and maple or oak flat front cabinets & stainless appliances. The homes will have chrome hardware throughout, and Alabaster white paint on the walls and ceiling with modern grey trim. Investors purchases are limited to 5 town homes only. Minimum rental term is one year. Core will begin accepting contracts on July 15th. Ocuupancy is expected in 2016. Earnest money down at contract is 3% which becomes non-refundable after 10 business days. HOA dues are $0.15 per foot. You can see floor plans on the website at six10merritt.com. Are you interested in pursuing a home are SIX10 Merritt? Our team would be glad to assist you with buyer representation. Call us at 615.266.6778 or click here to contact us. Slumping stock market could put brakes on interest rate hikes. Real estate perceived as safe haven for investments when stocks falter. Biggest danger is when stock market woes portend deeper economic woes, which is bad for housing. Every Saturday morning at Nate ’n Al of Beverly Hills Delicatessen, a group of older guys gather to gossip and chat about their families, their friends, politics and the economy. This past Saturday, the 1,000-point drop in the Dow Jones industrial average was a hot topic of discussion. That is one popular theory of what happens when the stock market takes a $1.8 trillion hit — investors move to safety, and tangible assets like real estate can win the day. The Wall Street sell-off is “good for real estate,” said Chadney Barcus, who is a broker, consultant and agent trainer for Coldwell Banker. “Consumers are more comfortable with assets they own, especially in times of volatility and uncertainty,” she said. A stock market crash can give consumers goosebumps. But if the stock market slump is an omen for more difficult economic times ahead, real estate can get hurt. A stock market crash can give consumers goosebumps, and commerce generally slows if that happens, as people don’t make big bets on anything. Instead, they step back until the the dust settles. Deals can fall out of escrow, and longer-term job growth can slow down. It is not a good trend if the U.S. economy is the last man standing as Europe struggles, Asia falters and the rest of the world scrambles to grow while China stops feeding their economies. However, the timing for this stock slump could be fortuitous because the Federal Reserve is expected to push up interest rates sometime this fall. If stock market misery here and the economic doldrums globally makes the Fed uneasy about its expectations of economic growth, it might second-guess its call to raise rates. Christopher Palmer, an assistant professor of real estate at the University of California, Berkeley’s Haas School of Business, agrees. “When bond markets are flush with so much capital, investors ‘reach for yield’ and search for other investments, like real estate, that can offer a higher payout,” he said. One of the worst housing market busts happened in tandem with the biggest stock sell-off since the Great Depression and triggered the beginning of the national recession in 2008. Beautiful private yard!Chef’s kitchen*Viking gas range top and hood*double ovens*butlers pantry*Master down with vaulted ceiling*wood burning fireplace and gas starter*3 bedrooms up*two full baths*huge walk in storage room!! !